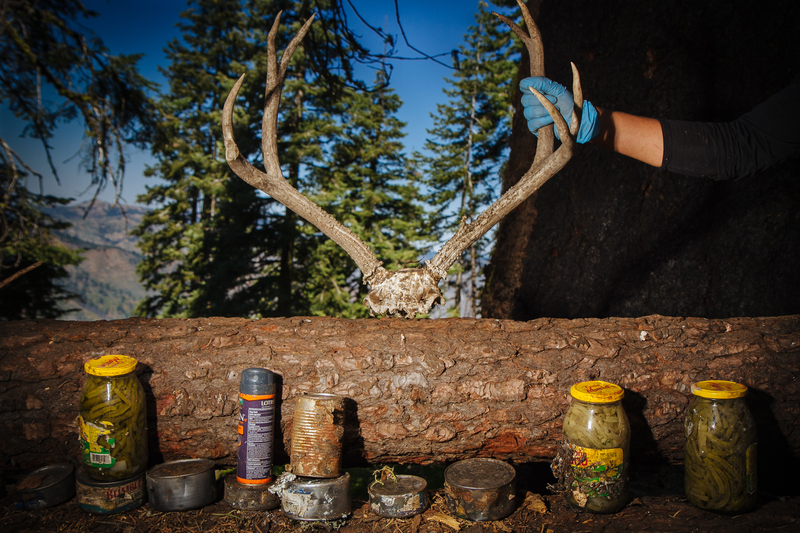 Researchers arrange an assortment of food and medicines littered throughout an encampment at a large grow in Plumas National Forest. Green chiles used in scrambled eggs, cans of tuna and medicine to treat athlete’s foot appear to be popular at this site. The team also found a partial skull and antlers of a deer likely killed for its meat. The stench of decomposition (not from garbage) permeated the air, though the team was unable to find its source on this trip.